You must be thrilled with the work Karen has done with the help of your curved templates. This is awesome! I have been FMQing for about 5 years and am ready to try something new. I love how the curved cross hatching looks. Thanks so much for this chance to win the templates! Congratulations on the template design, Linda! Thank you for your generosity in sharing them. Karen's tut's are fantastic and I think your rulers would be just the ticket for me to learn fmq on my domestic. Thanks for a chance. I have been following you for several years now and love your work. I have been interested in your rulers. Thank you for sponsoring this giveaway and thank you for the link to Karen's site! I have added her to my favorites list! Your work is beautiful! Thank you for sponsoring the give-a-way! Karen did an amazing job! Thank you for sponsoring the giveaway. Love you blog and beautiful work. Love your work! Thank you for sponsoring such a wonderful giveaway! Karen's post has inspired me!! Linda, your work is just beautiful! You really are an inspiration as is Karen. I'm a newer FMQer and love it. I don't know why I was so afraid of it...lol. Both you and Karen have showed me there is no limit to what can be done. Thank you for sponsoring Karen's giveaway. Thanks for the giveaway. Your quilt is amazing. The curved crosshatching really brings it up a notch. Can't wait to get some of those templates for my quilter (my sister). Hi Linda-- have been follwoing your blog for some time and whe you began talking about your templates, I thought they would really be for the folks lucky enough to have qullting machine. Jaren's quilt was a revelation (as well as a masterpiece)! Thank you for creating this wonderful new tool! Thank you for your generous giveaway! I love your work! I look to your photos for inspiration before I begin a new quilt. These templates look awesome. If I don't win the set I think I will have to order them! Love your work Linda, I follow you on instagram and hope to someday quilt as you do....so beautiful! I've been thinking I need a set of these rulers. Thank you for the giveaway! Thank you for the ruler offer at Karen's blog! I am new to long-arm quilting and would LOVE them!!! Thank you for so generously sharing a set of your rulers. I have seen your quilting up close in Paducah and it is awesome. I am still mastering quilting with my HQ Avante and would really like to branch out from quilting pantographs to the more custom work that really appeals to me. I think these rulers would be a great asset to that effort. Thanks for offering this give-away, Linda and Karen. So generous! As you know I was so keen to get your lovely rulers maybe this is my chance! Karen sure is clever. Thanks for this giveaway! Your rulers look so amazing and are on my wishlist for sure (along with that longarm...). 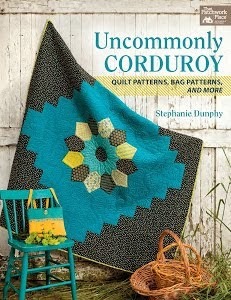 What beautiful work, love the design and the quilting is gorgeous. Thanks for the chance. I follow you here and also your Instagram account. You do fantastic work and I am really hoping that I luck out and win this set! Thank you, thank you for the chance to win a set!! I am a follower of your blog and I love your quilting Thanks Linda. I want to try your rulers because I have only done a few designs nothing complicated and when I see your work I want to learn your beautiful designs. Thanks for the opportunity to get your rulers they are on my wish list. Your work is awesome. Your work is amazing and I thoroughly enjoy your posts. Thanks for the opportunity to win your rulers. I am just hearing about ruler work on domestic sewing machines and so excited at the thought. It is so generous of you to have a set of the curved templates for a giveaway. Thank you! I'm excited to learn about these templates! Would love to learn on my Viking. Thanks for the giveaway. Thank you so much for sharing your wonderful templates. I have admired your work from following your blog. I am a new long armer and am beginning to add rulers to my repertoire. Thanks for the chance to win. Thank you so much for sharing your awesome curved rulers!! I have been following your blog through email posts!! Awesome work on here!!! Thanks again!! Thank you for being so generous and sharing your talent and templates with us. I have always loved seeing how you create your designs. Thanks Linda for providing the rulers in the give-away on Karen's blog site. I went and looked and watched u-tube videos. Now it doesn't look too scary to try on my domestic. 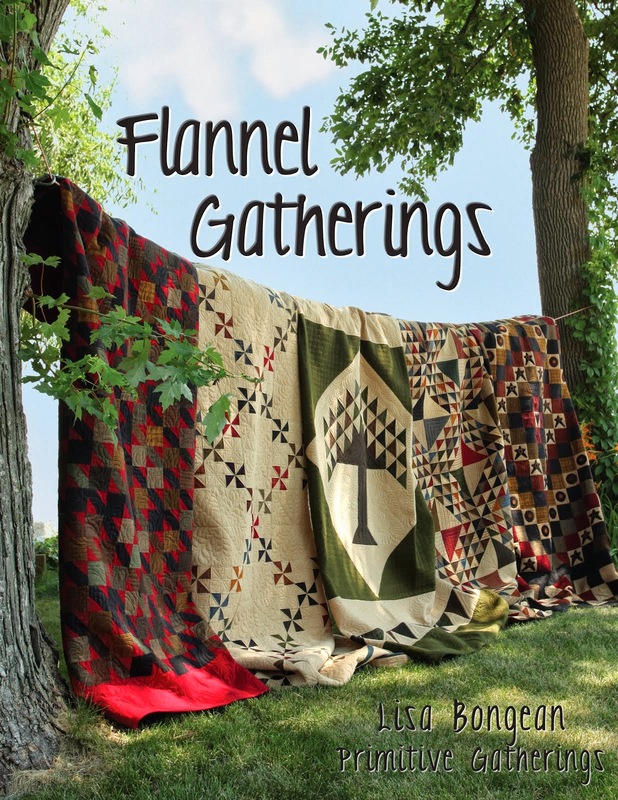 I love your quilting and your blog!! I've watched Karen's tutorials and they are excellent. I've been itching to try ruler work and she makes it look doable! Thanks for donating the rulers to Karen - I've got my fingers crossed! Now I'm off to explore your blog! Thanks for providing the ruler set for the giveaway, but, just as important, thanks for the link to Karen's website. Amazing talent - both of you! Your work is jaw-dropping gorgeous and inspirational. Thanks for sharing! Time to take the next step. PS. Your rulers are amazing! Thanks so much for the gI've away. Win or lose, I can see they are a 'must have'! Linda, I've long been an admirer of yours & I want thank you SEW much for introducing me to Karen's work...I am blown away that she did that fantastic quilting on her domestic machine!! Your rulers must be magical & I thank you for giving us a chance to win a set of them. I'm a fairly new longarm quilter & I need all the help I can get. Rushing right over to her blog & can't wait to watch the youtube videos, as well. Linda, your quilting is stunning! 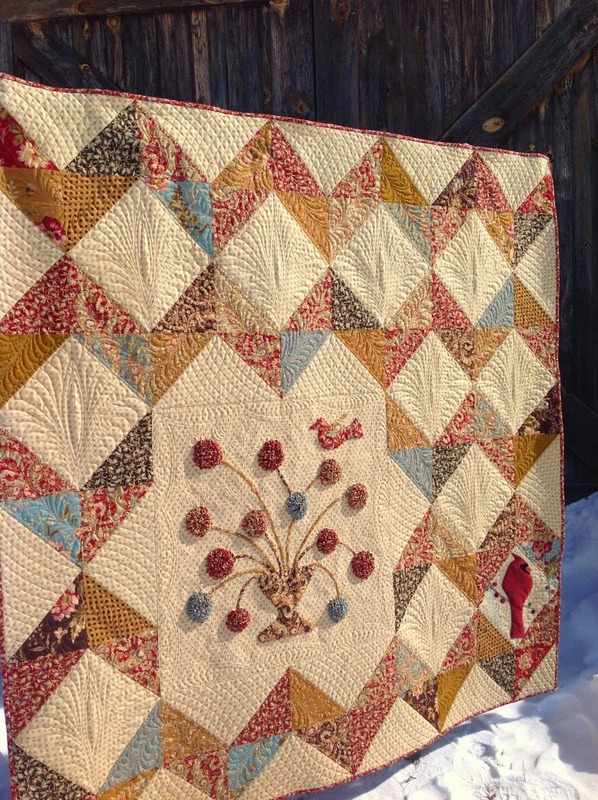 Karen's post on how she created her gorgeous quilt using your templates is a tribute to the generosity of two talented quilters who share their knowledge -thank you both for a chance to win! Your templates seem amazing! I think one of the best things they do is give quilters courage! Me, at least--I can imagine doing great things on my home machine if I were to use them. Thank you for your templates. How clever.so impressed with Karen's work. These rulers look truly amazing, and I really like the comment above "give quilters courage" because that is exactly what they do! Thank you so much for the generous giveaway! Your rulers look amazing. I am a long arm quilter who does a lot of edge to edge but am venturing into the ruler work. Karen sent me over here. Thanks for the chance to win these amazing rulers. What a wonderful giveaway and am excited about the possibility of doing ruler work on my domestic machine. Thanks! Love the results using these rulers! Thanks for sharing a set of your fabulous rulers for a giveaway. They look amazing!!! Hy Linda. Thank you for your post and for the giveaway. Your templates are great! I would like to use soon for my quilts. Your quilting is wonderful!! Thanks for providing the giveaway. Fingers crossed!! Your amazing quilting designs are so inspiring--thanks for the chance to win your tool set! Thank you for the chance to win your rulers & for giving the link to Karen's blog. It was fun to look at her great work. I have been a fan of yours since I first discovered your blog. Came over here from Karen's blog. Would love to try out your new rulers. I've been inspired by your work, but as a domestic machine quilter, it's been a little frustrating for me to try and create the look. Thanks for creating these rulers and for leading me to Karen's blog. Your curved rulers are amazing. Thanks for offering them as a giveaway on Karen's blog. I came over from Karen's blog and I wanted to thank you for sponsoring the giveaway. I would love to try your rulers and attempt to replicate some of your designs. Your quilting is so inspiring. I'm super excited to take your classes in Fargo in April. Thanks for sharing your talent! I found your blog after visiting Karen's. These templates look amazing. I can't imagine being able to quilt as wonderfully as the two of you but having the rulers sure would help! Sponsoring this giveaway is absolutely wonderful. I am loving all your work and so glad to have found your blog and karen's recently. I'm now a regular follower! Love your site, go-to for inspiration! And Karen's looks to be another very interesting. Would love to have your templates! What neat rulers and Karen's quilting is beautiful! Your BFF Templates look amazing! I've been FMQing for a few years and would LOVE to give your rulers a try. Any plans to vend at a major quilt show???? I'd love to touch your products and give them a try! Thank you so much for sharing your templates with us. I am going to check with my machine man and see if I can get a foot for my machine so I can use your rulers! Linda, so glad you did these. I'm hoping to give them a try. Thanks for the chance! Thank you for giving a set of templates for Karen's give away! Your work is gorgeous. Thank you Linda for donating a set of QP Curve Templates for Karen's giveaway. I would love to try using them. Thanks for sharing your set of Curve Templates for Karen's giveaway. I've been following some bloggers that use rulers and now I have you to follow as well. Thanks for the great information. Thanks for the generous donation of the QP Curve Templates for the giveaway. Awesome...hoping to win! Thank you for sharing those templates that Karen is using. I am the blessed winner of your generous ruler giveaway. Thank you so much for this incredible opportunity! I cannot wait to receive the rulers and begin playing with them! Thanks for directing us over to the great videos!